I have, thus far, experienced Opening Day from inside the parade route, outside the parade route, outside the city wondering why everyone else isn’t celebrating, and upon my couch. That left the inside the ballpark and inside downtown but not the ballpark boxes to check. One box is somewhat less expensive than the other. The history minor in me has a particular horror of missing player introductions and great swaths of flags, so Josh The Pilot and I opted to watch festivities through the first inning at home. This also granted us the opportunity to hear, over the field mikes, an extremely specific animus (“BOOOOO!”) that exactly one fan held for the Pirate’s third base coach. I thought that was to be the pregame highlight, but we wound up yelling at the television when the flyover following the National Anthem went completely untelevised, then yelling at each other when he realized the flight path was taking the F16s over our house. The four of us–me, Josh, and the jets– terrified the next-door neighbor, who was in her backyard, holding a glass of wine and watching the game through her screen door. As fireworks burst on a huge overhead screen, we walked down a street meant for cars but clogged with foot traffic, then began to fight our way into the first bar that would have us. We first attempted a rooftop joint, but were told with a straight face that the wait was two hours, so we flounced off to spend our eleven dollars elsewhere. We wound up at a bar built partially over the former infield site of Riverfront Stadium, and there I sat with my plastic cup of sparkling wine: Plopped the middle of the old stadium, glancing occasionally over at the new one, and lovingly reflecting that this is what six months of hard winter has at last bought us: 68 degrees and a life-hating bartender yelling “You want a lime?” at the guy in the full business suit down the bar. This is the paragraph in which I normally would frown at everyone hunched over their phones, but I was too busy hunching over mine to catch what was going on twenty yards away on the other side of the ball park wall. I took a photo of the Opening Day-specific menu the bar was handing around, the wine list soaked with beer. I found an appropriate Snapchat filter for my video pan of the crowd. The television feed was on, but delayed: The crowd inside was generally alerted to A Happening when we heard fireworks from the neighbors. This was everyone’s cue to drop lager and find a screen to stare at, for cheering was impending. It was time travel at its finest. We had to leave early for a nephew function, and as we made our way to the car, we dodged people selling bottles of water, teenagers on corners yelling “I’m right here, where are you?” into their palms, and rental scooters drained of battery. I was careful to spread it all between Snapchat, Instagram, Twitter, and Facebook. When we’d been walking for twenty minutes and I realized the ballpark had been ominously quiet, I bent my head to check the score. Still ahead. Still safe. We decided to collect free Opening Day Chick-Fil-A, and discussed also adding in a free Skyline coney, but decided we were too old and undermetabolized. “That was fun,” decided my husband, who did not grow up here and who I’ve had to make understand. He’s adapted admirably, and properly capitalizes Opening Day. We were walking out of Ohio. I glanced back over my shoulder to see the ballpark– and not just the ballpark. The people in the ballpark. The lights on in the ballpark. The sun breaking through. I felt bumped about today, and parceled the game together in spoonfuls of television, radio, real-time noise, and social media feeds. Nothing filled me and everything left something missing. I had now experienced Opening Day inside the parade route, outside the parade route, outside the city wondering why everyone else isn’t celebrating, upon my couch, and inside downtown but not the ballpark. And of those, the worst–by far the worst–is outside of Cincinnati, checking the score alone. Today, I wasn’t alone. Overwhelmed and tossed about, maybe, but at least it wasn’t the deadly experience of knowing I could hit up my local downtown and park absolutely anywhere on this day, because it was nothing special. Instead, we had to leave the car in an entirely different state, drank sparkling wine from a plastic cup, and needed ten minutes to navigate a single street corner. And it meant I was here, with nephews suiting up for a game twenty minutes away and high school classmates bursting into my morning with texted parade updates. It meant I was home. What great picture of the ballpark. I envy you for the experience. Unfortunately for me I have spent a lot of opening days outside of not only Cincinnati but the state. I have been in Virginia for the last 28 years. Many of those with no way to catch the game or even the score until after wards. Fortunately since the advent of MLB.com and MLBTV I have been to at least watch the game on the computer or if I have a bad cold (cough, cough. I’m not feeling good I think I need to go home) on TV. Unfortunately, this year I was umpiring a high school doubleheader and was unable to even watch. Those of you who live in Cincinnati, count yourself fortunate. 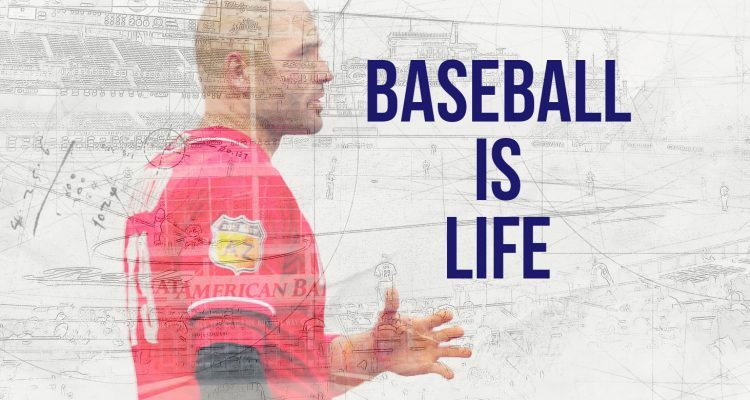 But the best thing is baseball is BACK! And the Reds Win! Maybe we can do a complete turnaround from last year and go 18-3 to start the season. Many thanks. I had several Opening Days in Mobile, which is a city far from any MLB team. But their Mardi Gras is pretty much equivalent to the beginning of our baseball season, so I had some added cultural enhancement. I was kind of surprised I was able to crank out that many words on that amount of wine. Great stuff Mary Beth. I have done Opening Day only three ways: outside Ohio with no real access to the game, which has thankfully been replaced many years ago with outside Ohio on my couch in my Reds shirt watching every pitch on TV. And then there was that one amazing year when that was replaced with inside the brand new shiny wonderful Great American Ball Park for its first ever Reds game and my first ever and still only Opening Day in person. I’ve intentionally forgotten the outcome of that game but will always remember the thrill. 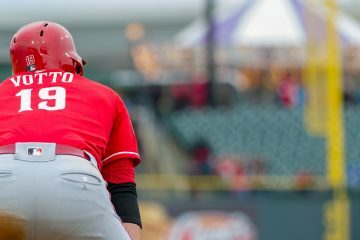 It’s tough being a Reds fan far from Reds country (I feel you Scott C) but I’m grateful for MLB.TV for access to the games, and to Redleg Nation for a connection with other serious Reds fans. And now thank you Mary Beth for sharing a bit of the “in person” experience, and eloquently so. Darn Skippy it’s capitalized Josh. Reds baseball is back! 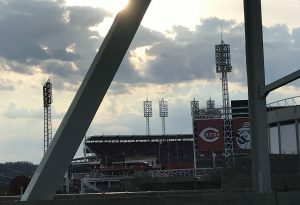 Oh thank you… I had moved away when GABP opened, so it was very strange indeed to visit home and drive past this stadium I’d never seen the inside of. Thank you Eric! The day was beautiful! 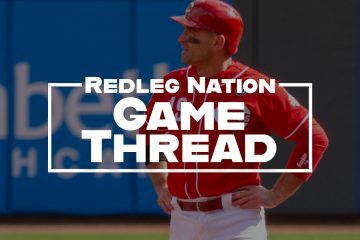 Will they trade Senzel now that Iglesias is an MVP candidate? I also screamed at the TV for not showing the F16 fly-over. Actually I couldn’t believe it. Nice article, as usual. Thank you– I was also in disbelief that they didn’t show the first pitch, or even say who did it. Unbelievable. You got health insurance? I dig health insurance. Thanks Mark. I recommend the hot pretzel sticks.